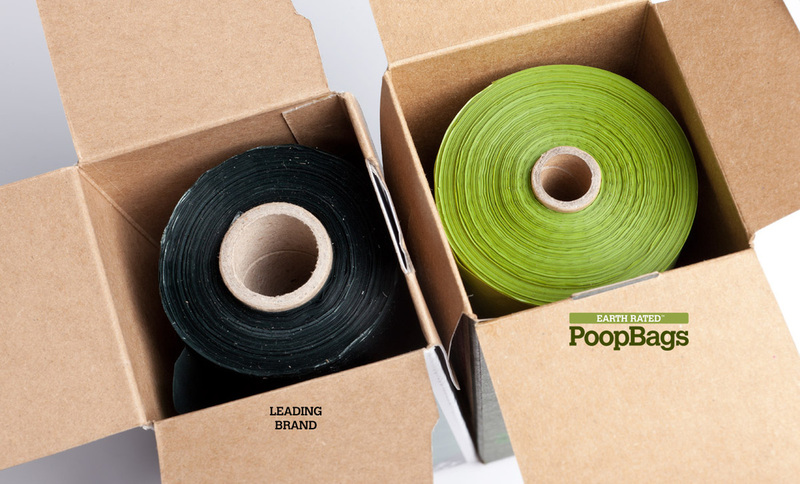 Earth Rated PoopBags are completely leak-proof. These bags are the most affordable on the market while giving great quality. 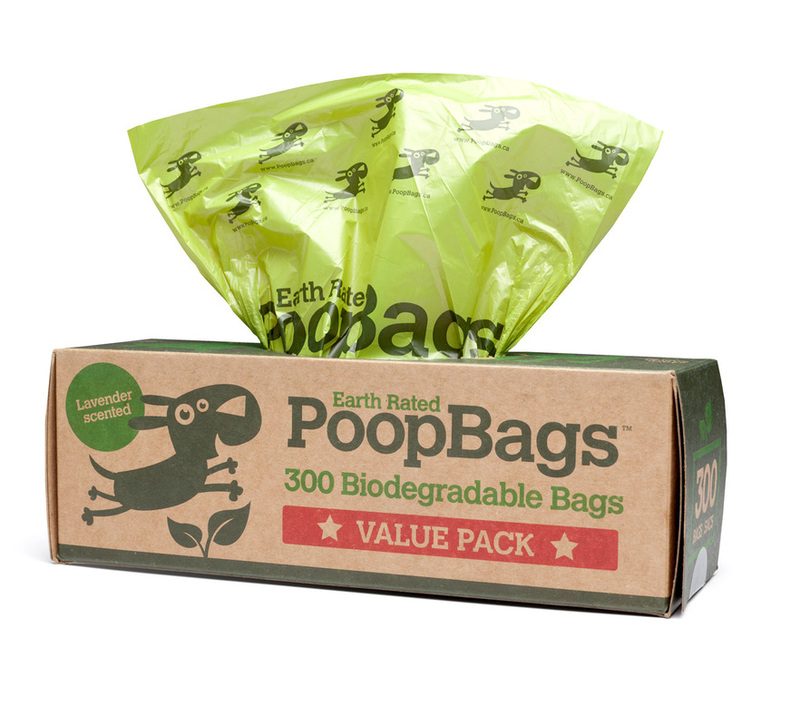 Best of all, these bags harmlessly dissolve into carbon dioxide (CO2) and water (H2O) in as little as 24 months! If that's not quick enough their is the new Compostable Bags that dissolve in as little as 40 days! 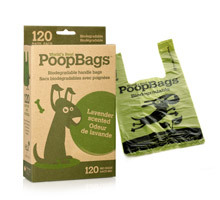 These Lavender scented bags will fit most all walking dispensers but look the best with the PoopBags dispenser. 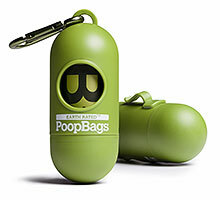 Bag size: 9" x 13"
The dispenser has a clip and a carabiner clip so it can be attached practically anywhere. The dispenser includes one roll of 15 Lavender scented bags that can easily be replaced with a quick and easy twist of the dispensers bottom. 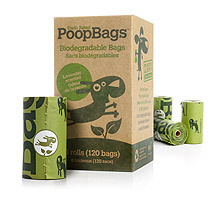 These Lavender scented biodegradable bags make knotting a bag a quick and easy job. 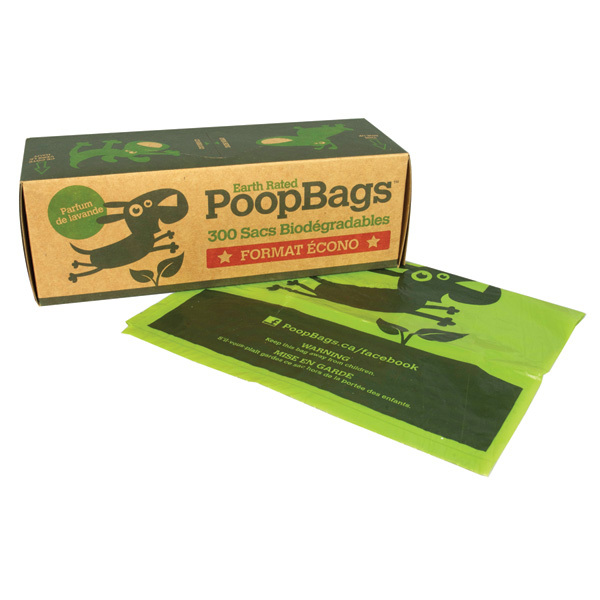 Bag size: 7" x 13.5"
These premium dog poop bags are made of 100% renewable corn-based resources that dissolve in as few as 40 days after use! 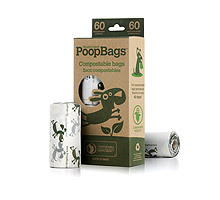 The Value Pack can be used in pet waste station dispensers or placed in the closet were a bag or two can be grabbed before a walk. These bags are the most affordable on the market. Please note the Value Pack does not fit in walking dispensers. 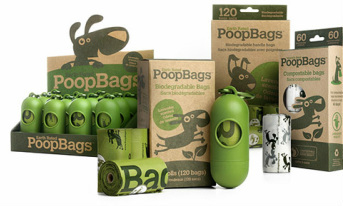 Intended to be placed on a shelf or in a pet waste station dispenser.